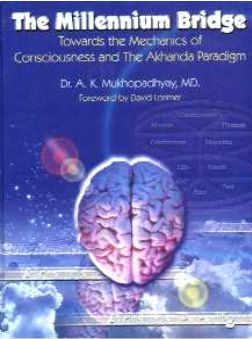 Professor A. K. Mukhopadhyay is a student of consciousness, to which he reports for all doubt clearance. Born in 1953, he is a medical graduate (MBBS) from the University of Calcutta (1977), a postgraduate (MD) in Pathology (1981) from India’s premier medical institute, AIIMS at Delhi, where he served for almost 40 years tendering medical laboratory service to patients, evidence-based academic service to MBBS, MD and PhD students and serving science by means of research and publications. The brain neither generates conciousness nor can use conciousness. 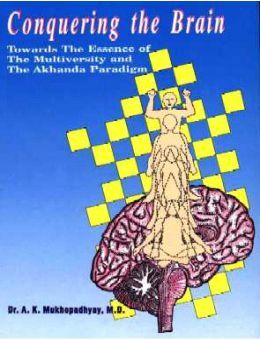 It is the conciousness which uses the brain for its manifestation. 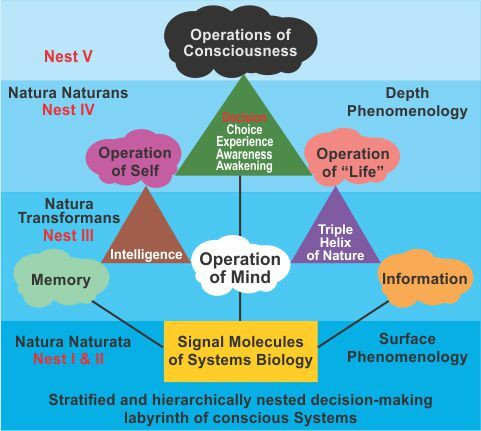 At the juncture of the second and the third millennium, the conceptual bridge is being constructed between Classical and Quantum mechanics on the one side and the Operational Mechanics of Mind, Self, Life and Conciousness on the other side, with the help of Operational Mechanics of information. "As simple as could be, but not simpler!" 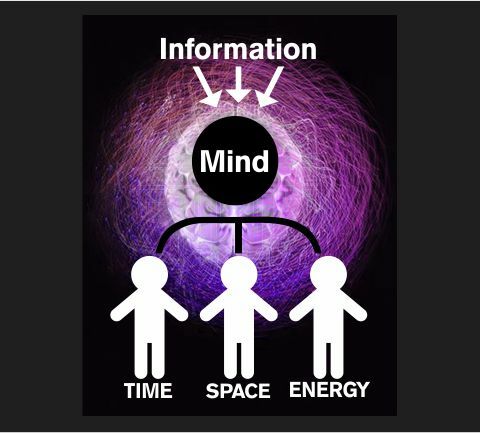 Information is the father, Mind is the mother, Space Time and Energy are their three children. Structure of information is like a trifoliate leaf. 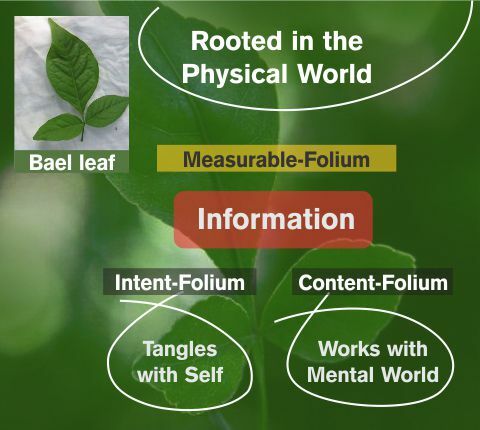 It's measurable folium is rooted within Matter. Its content folium works with the Mind and its intent folium is tangled with the Self. Decision making process within the Systems psyche is neither fully autocratic nor completely democratic. This is complex. There are a number of operators and operations which maintain pyramidal, tangled and labyrinthine hierarchy. 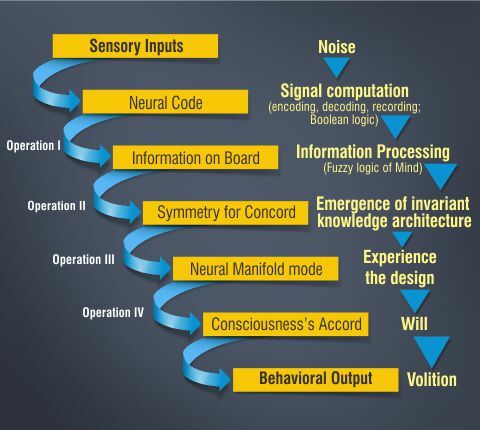 There are layers between neural signaling and consciousness with series of cascading operations resulting in the ladder of cognition and the canvas of cognition. 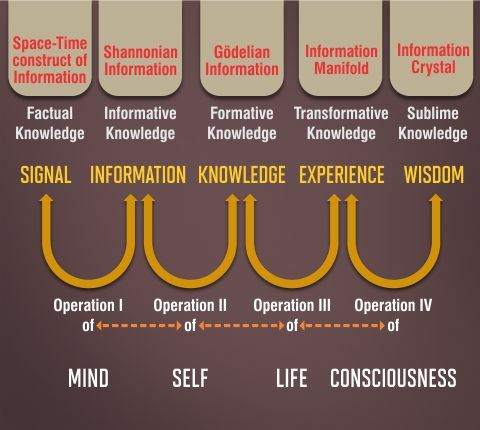 So far, there is no equipment/device/machine in this world, which can convert Signal into Information except Mind, format information into knowledge except Self, transform knowledge into Experience except "Life",or Sublime Experience into Wisdom except Consciousness. AI is Human creation. Human Intelligence is creation of Nature. Nature's Intelligence is sourced from Consciousness. 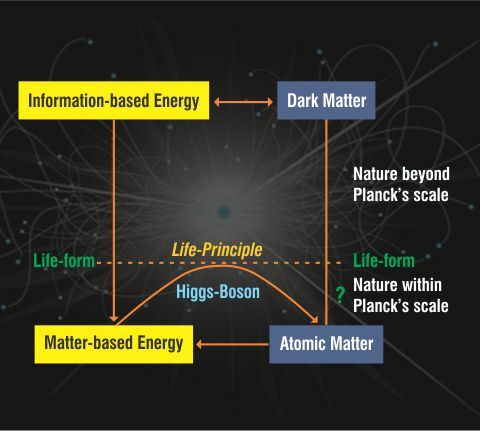 So far, it is only the "Life-form", which could convert Dark Energy into visible Energy in a spectacular way. We, all are connected by Information Hologram. 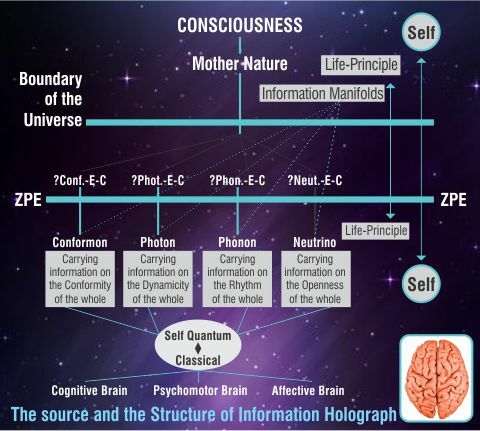 Quantum Hologram represents hologram of material world. 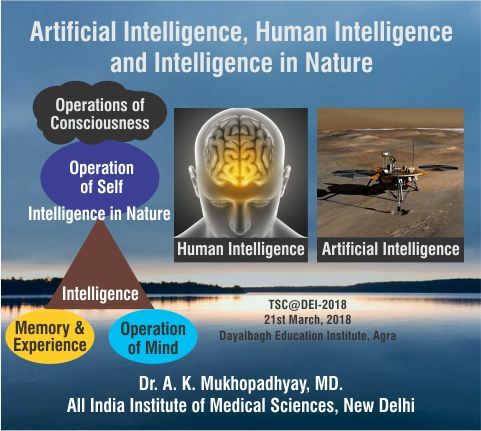 This website is dedicated to all those who are engaged in developing a science for Consciousness. the site highlights only those contributions of the author which are relevent for this.